We are playing an early show. 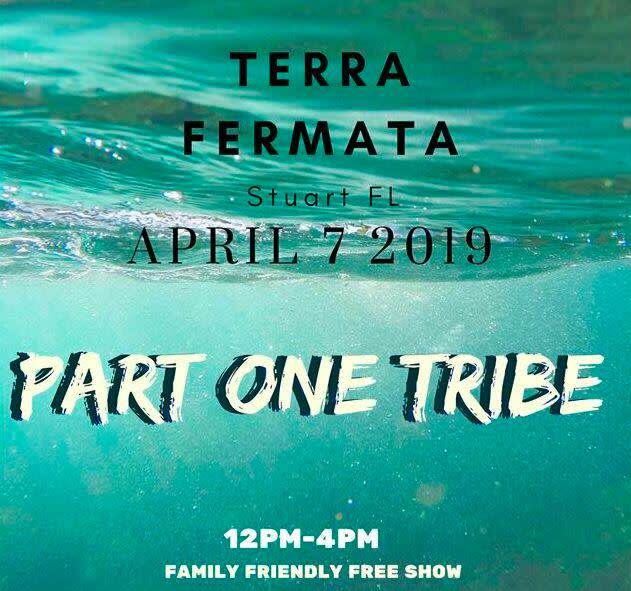 High noon to 4 pm come hang out with us and enjoy some Sunday all original reggae rock and blues with part one teibe at terra fermata in Stuart florida. Formed in 1995, by guitarist and lead singer ROB-D. The band former known, for a brief time, as just PART ONE, quickly evolved into the PART ONE TRIBE you know today. Theres no lack of originality when it comes to PART ONE TRIBE. With 6 full length Studio albums: EASTCOAST ROOTS,THE GENERAL CONSENSUS,FOR WHAT ITS WORTH, LETS GET DOWN, INTENSIFY, &OBVIOUS AS EVER ;all of which were independently recorded & released.Listen to any one or all 6 albums and you'll get nothing short of track after track that comes straight from the soul. 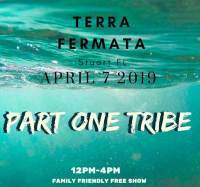 PART ONE TRIBE has more than payed their dues living in their van on the road touring from April 29th 2004 until June 2nd 2010, only going home to visit family for a few days around the Holidays and not even breaking for that in 2008 or 2009. In this time they have sold over 60,000 CD's out of their van. They book all their shows and fund all the CDs thru their own production company called H.C. Indie Productions. The band has been doing whatever it takes to stay on the road and stay progressive. While the lineup has changed over the past 16years, the vibes PART ONE TRIBE brings will never change. With their lastest album "OBVIOUS AS EVER", being released in 2009, the band is highly anticipating the release of they're latest maddness, STAY POSTED! In the meantime, check out new videos, track leaks, pictures, & dates. You can find PART ONE TRIBE music through I-TUNES, CDBABY, PANDORA, LAST-FM, & YOUTUBE.